Say hello to the Zoom Zoom brand’s compact passenger car, coming with good standard features and excellent driving dynamics, whether it is a sedan or a hatchback. What’s New for the 2018 Mazda3? For 2018, like other models in the brand’s lineup, the Mazda3 will be getting both Smart City Brake Support, which is automatic emergency braking for under 19 mph, and G-Vectoring Control, which is a system that slightly dips engine torque in hard corners to shift the vehicle’s weight and improve driving feel. Otherwise, the Mazda3’s standard features are very slightly shuffled, with the Touring model getting a new wheel cover and a 2.5-liter four-cylinder engine, and the Grand Touring moving a few optional features to standard. 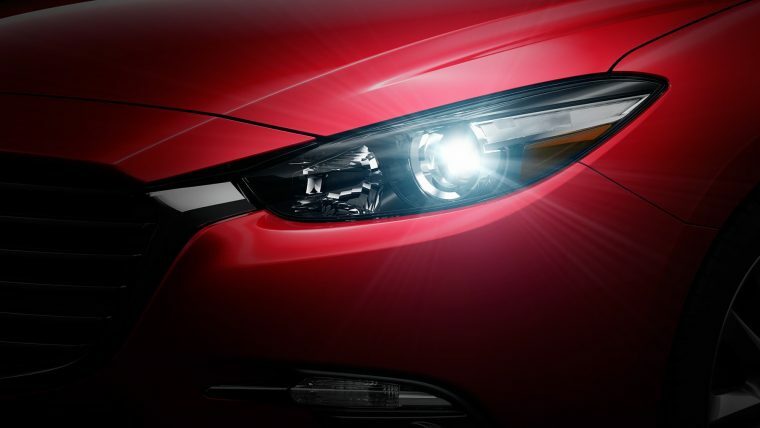 The Mazda3 is a compact car, designed using Mazda’s KODO: Soul of Motion design language. It can come as either a sedan or a hatchback, and either way is available in eight colors, in varying shades of black and white, two blues, and the trademark Soul Red. For 2018, the Mazda3 comes with one of two engines. The first and smaller of the two is a 2.0-liter SKYACTIV-G four-cylinder, which produces 155 hp and 150 lb-ft of torque. This engine comes standard on the base Sport trim. The larger engine comes standard on both the Touring and Grand Touring trims, and is a 2.5-liter SKYACTIV-G four-cylinder, which produces 184 hp and 185 lb-ft of torque. 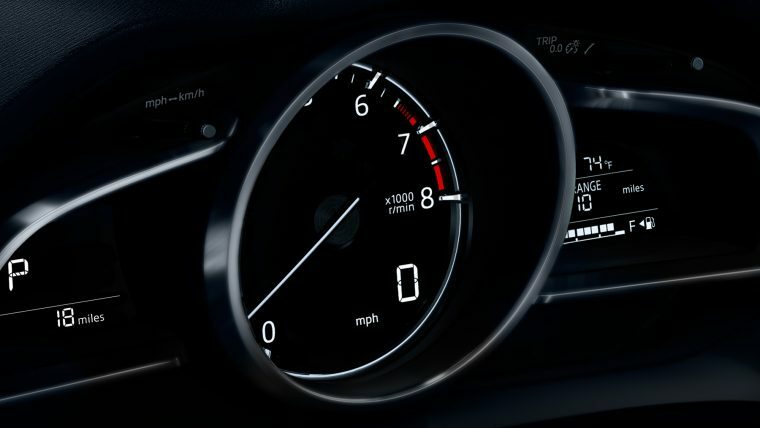 The fuel efficiency of the Mazda3 varies slightly depending on the engine, transmission, and body style. 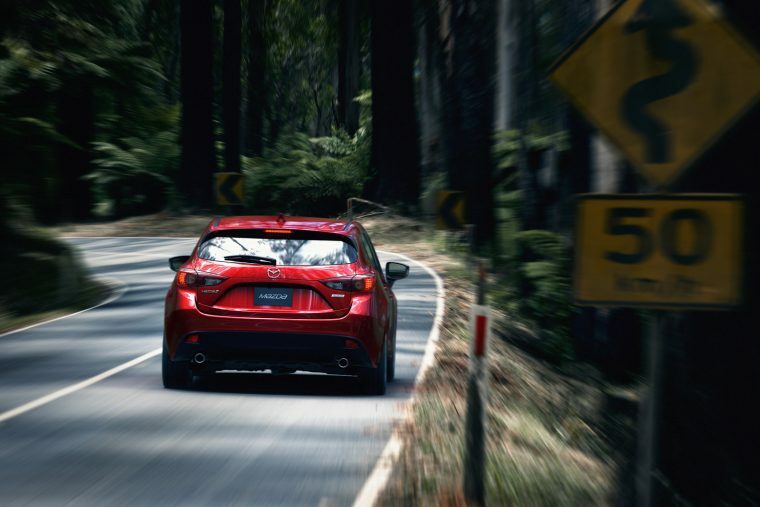 The interior space of the Mazda3 varies depending on whether the model is a sedan or a hatchback, and on whether or not the rear seats are down. It comes fitted with a number of strong features, such as cloth-trim sport seats, a 7-inch touchscreen display, and dual USB audio input ports in the center console. 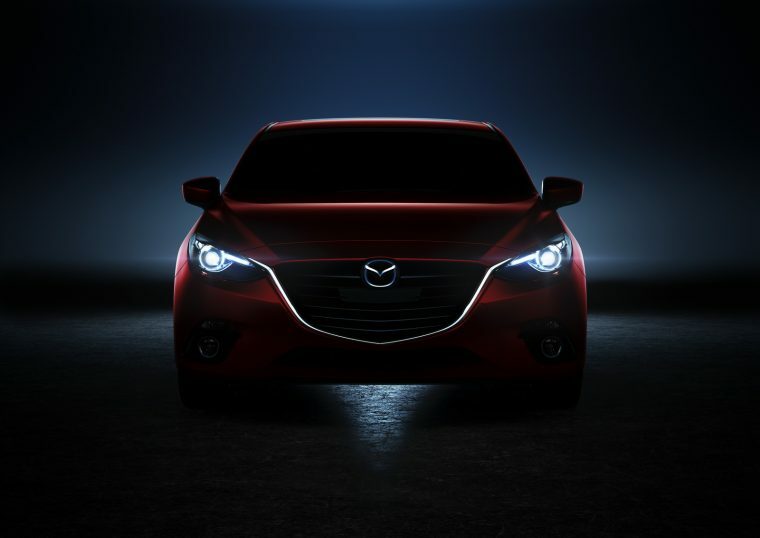 Like most of the rest of the Mazda lineup (the Miata has not been tested), the Mazda3 is a 2017 IIHS Top Safety Pick+, meaning it scored top marks in the Insurance Institute for Highway Safety’s crash tests, plus earned a “Superior” rating for its front crash prevention, plus scored an “Acceptable” rating for its headlights. 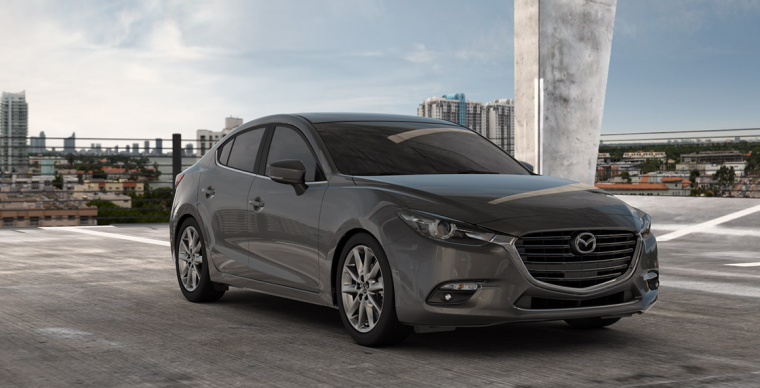 The National highway Traffic Safety Administration also gave the Mazda3 high marks, with a five star overall safety rating, five star frontal crash rating, five star side crash rating, and four-star rollover rating.